Javier Hernandez has had a largely indifferent West Ham career to date. He has never really cemented a permanent place in the team, nor in the hearts of the fans. After being chased by Bilić since the Croat arrived at the club in 2015, Hernandez finally arrived in the summer of 2017 to much fanfare. A £16 million move on paper seemed like a bargain, for a player who was excellent at Manchester United before spells with Real Madrid and Leverkusen. 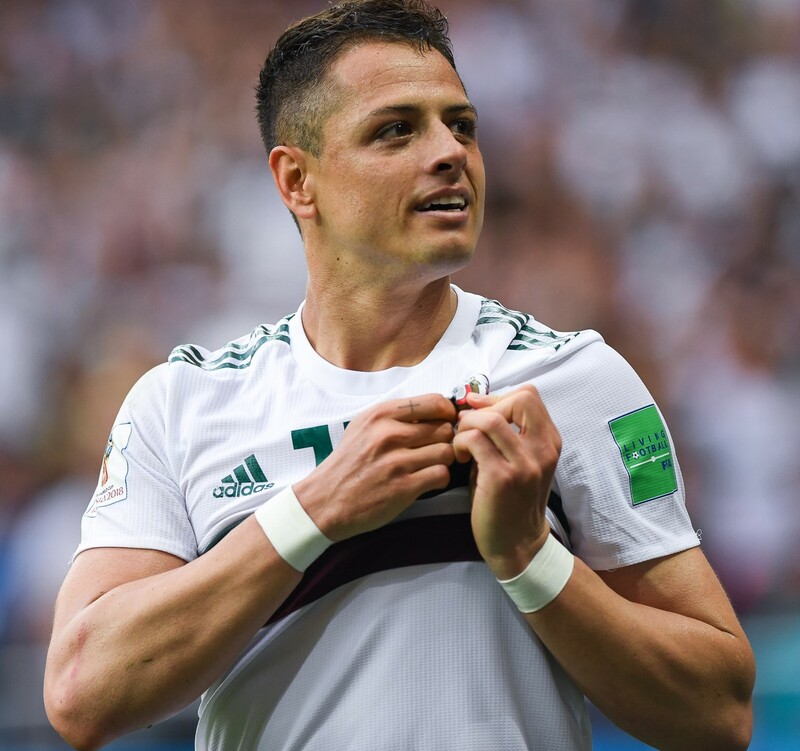 Alongside Hernandez’s arrival came the swathes of Mexican supporters now pledging their alliance to West Ham or, rather, Hernandez’s West Ham (which has been the case wherever he has played.) He is treated as a deity in his home country; one of the top Mexican footballing exports of all time. This is what makes Hernandez’s stay at clubs rather problematic. He possesses star quality and at the end of the day, he is a major brand for supporters globally. Like Cristiano Ronaldo, his coming from a relatively small football nation and being their peak player means that all their hopes are rested upon his shoulders, and that his every step is followed under a microscope. Hernandez’s choices of clubs are as much a marketing decision as they are a footballing one. He is a maverick with unfaltering loyalty from fans, which allows him to transgress traditional notions of a career. Hernandez’s performance against Newcastle came as a result of Pellegrini’s switch to his preferred 4-4-2 formation. Much like at Manchester City with Dzeko and Aguero, Pellegrini deployed Arnautovic and Hernandez to act as the little and large duo up top. Having tasted success with this in Manchester, you can see why the Chilean would want to reconstruct it at West Ham. The formation will work well against sides who are sitting lower in the table, such as Newcastle. Their lack of midfield quality meant West Ham could get by with only Rice and Noble in the middle, instead of utilising the third midfielder in the shape of Obiang. Going with two strikers is brave, especially away from home, but the tactics worked excellently, allowing Hernandez his much sought after game time and two goals. However, this can’t always be the case. Against sides with much better players, West Ham will have to sacrifice Hernandez for another body in the middle. It is not plausible to go to a big side with only two central midfielders and a striker who doesn’t like to track back. Hernandez is a luxury player. He offers little apart from goal scoring, and even when it comes to that, he has been guilty of missing some very good chances this season. One of the key reasons behind his success at Manchester United was that Ferguson used him as a substitute. He knew that he was not able to link the play like Rooney, or control the game like Berbatov – instead, utilising his ability to find space in the box against tired defences meant that Hernandez had a very impressive scoring record. Whilst this treatment of a player may work when he is in his early 20s and new to England, it is difficult to justify using him the same way when he is nearly 30 and meant to be at the peak of his powers. Hernandez doesn’t get into the side as a sole striker over Arnautovic and maybe not even over a fully fit Carroll. He does not possess the hold-up or link-play skills of the others and regularly goes missing for longer periods of games, allowing himself to become isolated rather than dropping deeper to create a transition. His regular outbursts in the press about wanting to leave are not the measure of a man fully committed to the cause. However, with a run of games against sides below and around West Ham in the run up to January, he will be playing more minutes than he has been in previous months. A move in January is seems to be out of the window given Pellegrini’s striking options are few and far between and the manager is a fan of the player. Hernandez’s wages make him one of the top earners at the club, but his performances, attitude and general goal return do not reflect this. There has to be an understanding that one must make sacrifices for the team and that you can’t expect to start every game. One would do well to remember that one swallow doesn’t make the summer, much like one brace against a Championship-level Newcastle side doesn’t make Hernandez the greatest thing since sliced bread. So what does the future hold for the Mexican? Wherever he heads, the masses of his diehard supporters will follow. Each time he signs for a new club, it opens up a new market for Mexico. In the eyes of many, Hernandez can do no wrong. He is the poster boy for Mexican football and his reputation somewhat provides him with the springboard to move clubs. Personally, next summer I believe a move to MLS beckons; it’s closer to home and already a league with some big Mexican talent, such as the Dos Santos brothers. His eventual departure from West Ham will not be met with any great sadness or frustration. His age, wages and lack of commitment to the cause has not endeared him to the club and as a mercenary player looking out for personal acclaim, a non-emotional adios will be sufficient when he departs.